A strange image appeared over weekend during a church service by the Arjarquah Ministries in the Eastern Region, Ghana. The image, which the church members believe was an angel, has gone viral on social media. 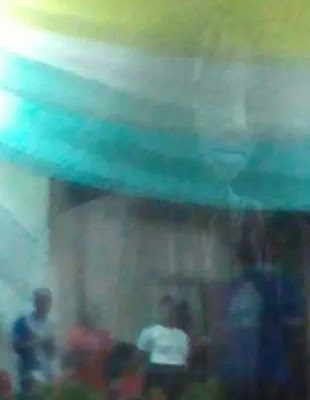 The image was spotted by a female church member after service at about 12:30pm, according to a report by starrfmonline.com. She is said to have zoomed in on the image and captured it with her camera phone. The image reportedly disappeared when she tried to alert some church members who were praying nearby.